Local community protests the shooting of Walter Scott, North Charleston City Hall, April 8, 2015. After more than a year and a half of waiting, the family of Walter L. Scott sees some semblance of justice. In an all-too-familiar script, Scott, an unarmed Black man, was shot multiple times from behind by white police officer Michael Slager during a traffic stop in 2015. In a court decision almost unheard of in recent cases, Slager was sentenced to 20 years in prison on Dec. 7 in a Federal District Court in Charleston, S.C. The Scott case has become a beacon of hope in the seemingly hopeless task of seeking adequate accountability for police killings of U.S. residents. The sentence, while less than South Carolina’s minimum 30-year sentence for second degree murder, demonstrates the impact of the efforts made by community organizers in Charleston. Rodney Scott and two other close relatives of Walter Scott, Marion Green and James Gibbs, are members of the International Longshoremen’s Association Local 1422. The ILA local issued a statement in April 2015 regarding the killing. President Kenneth Riley said: “Local 1422 recognizes that we have a social responsibility to our community and we take that responsibility very seriously. 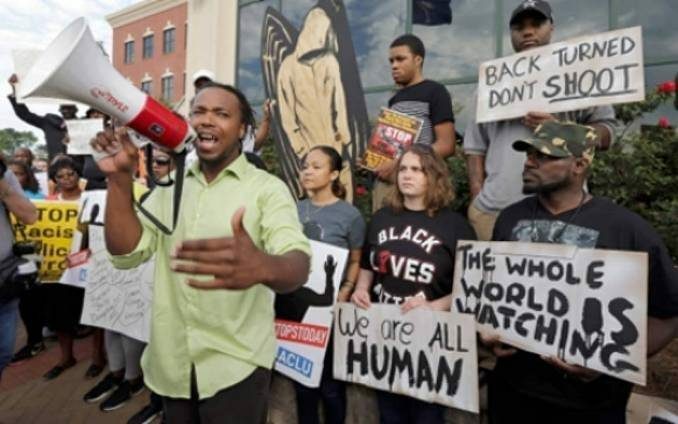 That is why Leonard Riley Jr. took the lead and arranged the organizational meeting for the protest at the North Charleston City Hall.” Activists in the community responded quickly and effectively — informed by their longstanding involvement in struggle. 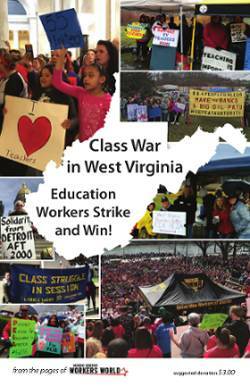 This long history of grassroots organizing and union struggles must not be overlooked in Charleston. In 2000, just 15 years before Scott was murdered, the Black-led ILA local and other labor organizations took up the case of the Charleston Five, a group of longshore workers arrested and charged with felony counts of conspiring to start a riot. In that case, charges stemmed from picketing the Nordana shipping line’s use of nonunion workers after a 23-year history of employing only union workers. Police attacked the picketers, taunting and physically harassing the participants. Those in solidarity with the workers then urged organizers and union members to speak out against police brutality and harassment. The five workers were eventually acquitted of all charges — once again highlighting the power of communities. In the case of Walter Scott, union members and community leaders were quick to rally together in front of the North Charleston City Hall in 2015. This was shortly after murder charges were filed against Slager. The people were all too familiar with broken-taillight policing that pervaded their streets — where cops seized any small offense as an excuse to arrest Black people — and came together to speak out against this repetition of an execution without trial. With the power of Local 1422 and its history firmly rooted in the fight against police harassment, Charleston is an example that other areas can learn from to harness the clout of the workers’ struggle. In Scott’s case, a killer cop will see prison time. In too many other cases, there is no justice at all. Cops kill people with impunity and communities are left to pick up the pieces. More than just a superficial hashtag movement, victories like the one in this case should be recognized as powerful examples of what a people’s movement for justice can win. From Charleston to Ferguson, MO., to New York to Durham, N.C., the people are standing up and speaking out — against police brutality, against racism, against white supremacy. And the people can win!